The school is a leader in the use of technology in teaching and learning. 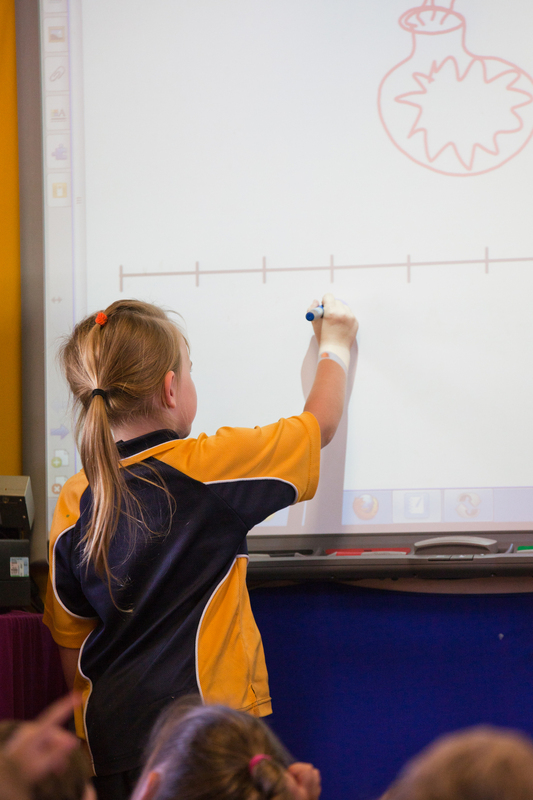 Every classroom in the school has an Interactive Whiteboard which is used throughout the day to support class lessons. Each classroom has at least three computers which are connected to a school wide network. In addition there is a computer laboratory in the Library and classes have access to iPads and windows tablets for whole class or group work. 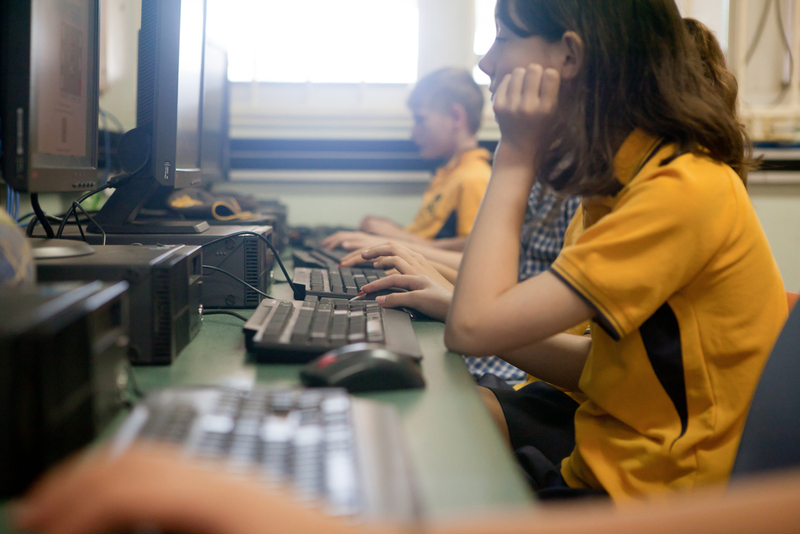 The majority of classes have a lesson a week with a specialising IT teacher in the computer lab where students are developing skills using word processors, spread sheet and presentation software. Students access also the DEC Kids space portal for internet research and emailing. 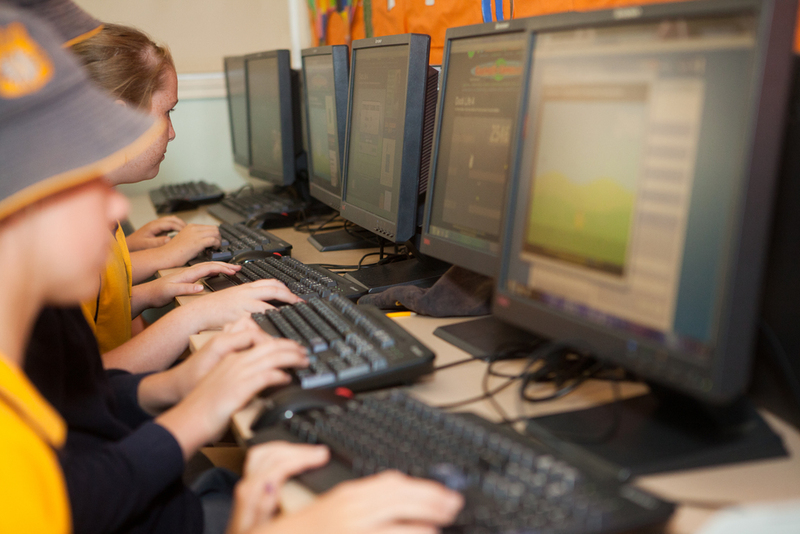 Animation and paint programs are also used while junior classes become familiar with computer based encyclopaedias. 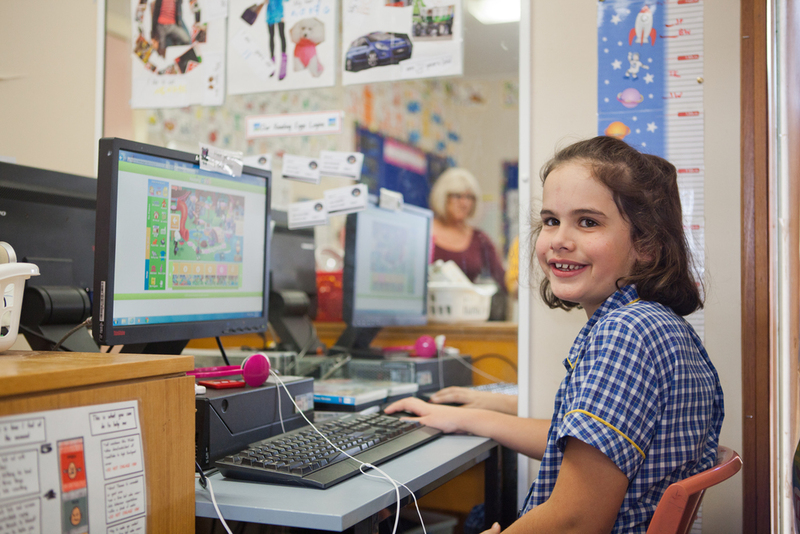 Mudgee Public’s commitment to using technology as a tool in the education of our students is strong. This is demonstrated by the fact that we have a computer lab with 29 desktop computers and a mobile computer lab with 14 laptops. These computers are supported by either optic fibre or a wireless network. 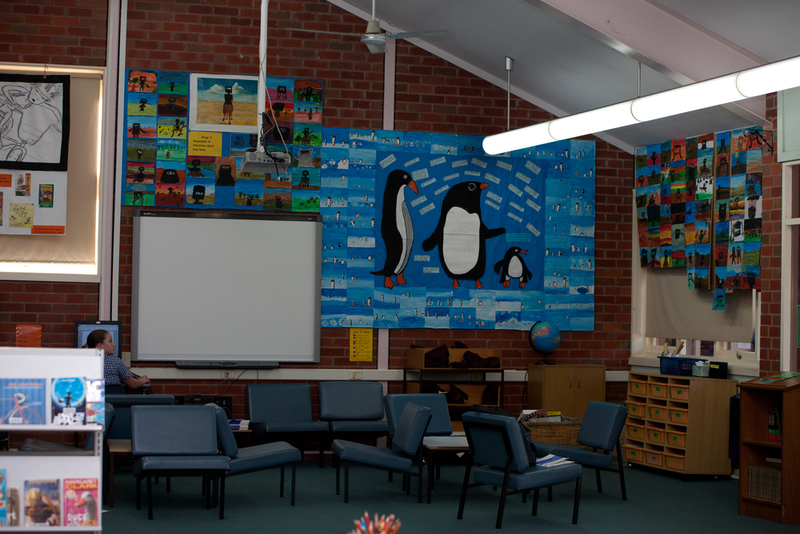 In addition to this, every classroom in the school has an interactive whiteboard, with the school also fitted with 3 “connected classrooms”. We have 32 iPads and Tablets that are available to our students. 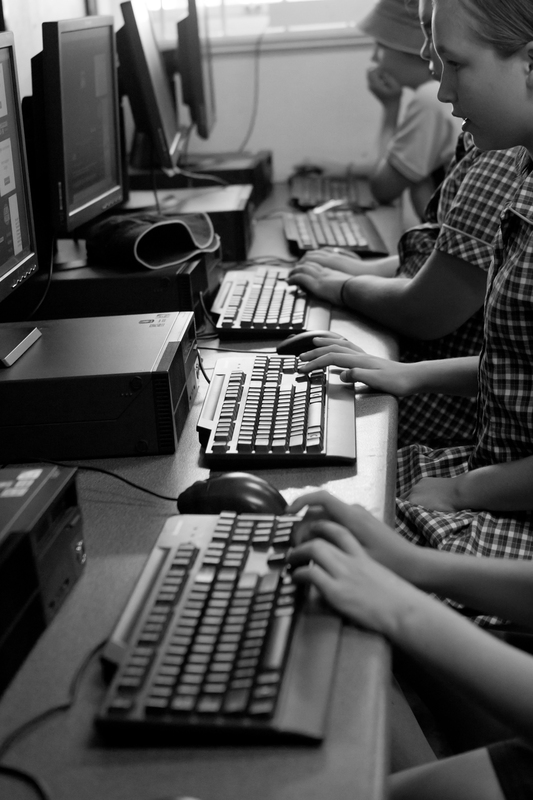 This technology not only permits every teacher and student to access countless educational lessons and opportunities in the comfort of their own room, but it also means that we have the capability to learn with and from other teachers, students and educational providers from around Australia and the rest of the world. 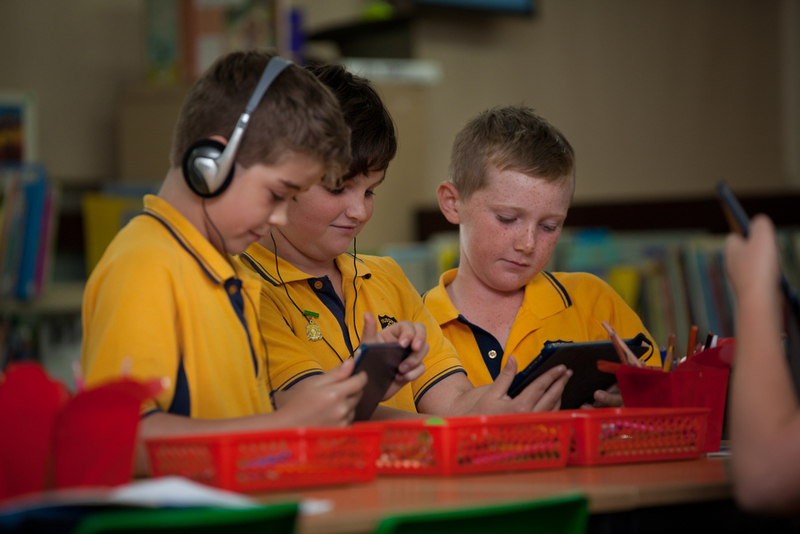 Mudgee Public has recently developed a BYOD (Bring Your Own Device) policy that allows students to bring their own device and connect to the school network for 21st century learning. We have three ‘Connected Classrooms’ and another purpose video conferencing site which allow our students and staff to interact with staff, students and classes from across Australia andthe world. Our staff members are likewise able to access professional learning courses with this technology. This semester, Stage 3 will be given the chance to learn about a myriad of new technology that is being rolled into education and the new syllabus. Coding and robotics are a growth area in both education and employment opportunities in the future. Coding allows the students to use interactive blocks to control the movement of a certain object. Learning coding helps students to be critical thinkers, to be persistent, builds problem solving skills, and fosters creativity among many other positive benefits. Scratch – a free programming language and online community where students can create their own interactive stories, games, and animations. Sphero - connected toys, fusing emerging technology with the latest innovations in robotics to offer a new kind of open play experience. Lego education - WeDo 2.0 makes primary school science and computing come to life through handson tasks, real-world projects, and relevant technology that engages pupils. 3D printing – the school has just taken delivery of 2 new 3D printers and will be able to design and create projects using 3D design websites such as Tinkercad.